Adding just one layer of very strong, transparent foil around the baggage exterior, ‘shrink-sealing’ is a unique method. It ensures a high level of security and protection, while the process takes less than one minute. The sealing process is fully or semi-automatic, requiring just a few simple actions by trained staff members, thanks to an easy-to-use touch screen interface. 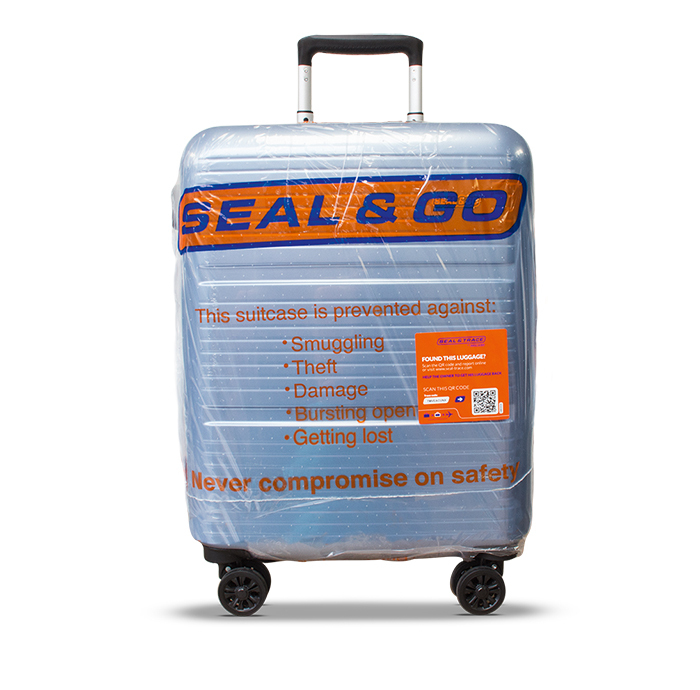 Besides baggage sealing and wrapping, Seal & Go offers some other baggage safety services. 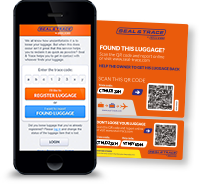 Read about our complementary services Seal & Trace, box sealing, baggage weighing and our special mailservice. At the Seal & Go airport desk we have a wide range of safety and travel comfort products for our customers. Safety products, such as locks or luggage straps, travel products, like foldable duffel bags, or comfort pillows for the airplane.